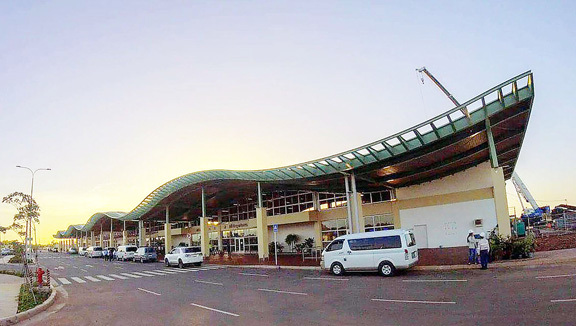 The country’s major airlines have started commercial flight operations at the newly-constructed Panglao International Airport, which replaced the old Tagbilaran Airport. Legacy carrier Philippine Airlines announced Tuesday that beginning today, all flights to and from the province of Bohol will arrive at and depart from the new airport. “This is in accordance with the urgent official notification issued by the Civil Aviation Authority of the Philippines,” said PAL spokesperson Ma. Cielo Villaluna. CAAP spokesperson Eric Apolonio said the new Panglao Airport is designed to be the country’s first eco-airport, taking pride with its complete airport facilities that feature green and sustainable structures, such as solar panels and motion sensor lighting, among others. Considered to be a total upgrade from the nearby Tagbilaran Airport, the new Bohol-Panglao International Airport was built in a 220-hectare site in Panglao Island, 10 times bigger than Tagbilaran Airport’s 22-hectare land area. “Compared to Tagbilaran Airport’s capacity of 400 passengers, the new Panglao Airport can hold up to 650 passengers during its peak hours,” said Apolonio. Panglao is one of the most popular and fastest-growing holiday destinations in the Philippines, boasting majestic beaches and diving spots. The new Panglao International Airport will be the sole commercial airport serving the province of Bohol, including the City of Tagbilaran and Panglao Island. Villaluna said the PAL ticket office at the decommissioned Tagbilaran Airport will remain open until Dec. 15, 2018 to service passengers during a three-week transition period. She added the PAL Tagbilaran City ticket office likewise remains open. Cebu Pacific Air, on the other hand, will also transfer its operations to the new Panglao International Airport effective Wednesday. Cebu Pacific Flight 5J 619, from Manila, will be the first flight to land at the new Bohol Panglao International Airport when it opens for commercial operations. The flight is scheduled to depart Manila at 5:55 am and land at the new airport in Bohol at 7:30 am on Nov. 28. The return flight, 5J 620, bound for Manila, will be first to take-off from the new airport. That flight is estimated to depart Bohol at 8 am, with estimated time of arrival in Manila at 9:25 am. CEB has been mounting flights to and from Tagbilaran since 2004, flying close to three million passengers over the past 18 years.